As much as it is about creating a magical memory for the bride and groom, a wonderful wedding is one that should leave all guests present breathless and at a loss for words. After all, beauty lies in the little things!A great deal is conveyed about a person or business from their stationery. Personalised stationery not only speaks character, but also acts as a great tool for business and social interactions. There are many ways of customising stationery to bring out personal style and bespoke personality. Therefore, one must consider the context, the purpose of use and the message that needs to be conveyed wisely. Below are five widely used printing techniques for personalising stationery. Digital PrintingThis is the most common and least expensive form of printing. This includes directly transferring a digital-based image onto a range of media. Digital printing is something we usually do at offices and homes daily. This includes print outs and the key to quality digital outputs is colour control. CalligraphyA very personal and beautiful printing method that involves writing out each letter by hand. This technique consumes a lot of time and due to this reason professional calligraphers charge hefty amounts for each job. They use an instrument like a paint brush, pen or marker to create an expressive and artistic style. 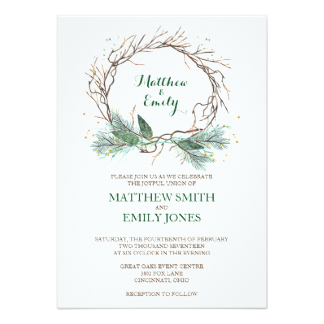 This form of printing is most commonly used on wedding invitations Australia as it portrays a luxe, elegant look. Apart from this, other personalised stationery that requires a handwritten personal note and signature would make use of this form of printing. EngravingIt is one of the oldest forms of personalising stationery. It involves making prints of a design that has been carved on to metal plates, which are then applied on paper with ink and pressure. Engraving is typically the most expensive option but gives quite a formal look and feel that is easily distinguishable. Today, engraved pens are a famous form of personalised stationery that have also become classy and sophisticated gifts in the corporate world. EmbossingThis is a simple technique that produces attractive results. It is quite like engraving but is called ‘blind embossing’ as it does not use any ink and creates a three-dimensional design. Embossing is commonly used for correspondence and baby thank you cards by modern businesses as it adds a creative twist to formal communication. Foil StampingThis is a printing method that transfers foil using heat, pressure and metal dies rather than ink to create designs on paper. This technique is used widely in the packaging industry to give a decorative finish. Luxury goods packing and labels for products such as spirits and wines use foil stamping. This printing technique is also utilised for wedding invitations as it gives a neat and stylish finish.